Quintessential Old Town home with open living area, hardwood floors, and lots of natural light. Move right in to this immaculate 3 bedroom, 2 bath house with a lovely renovated kitchen and updated baths. A large deck off the kitchen overlooks a beautiful back yard with fruit trees, a raised garden bed, deluxe chicken coop, and a 160 sq. ft. barn with electric and water that would be ideal as a workshop or art studio. Over sized 1 car garage 280 sq. ft. Wood burning fireplace in the living room. 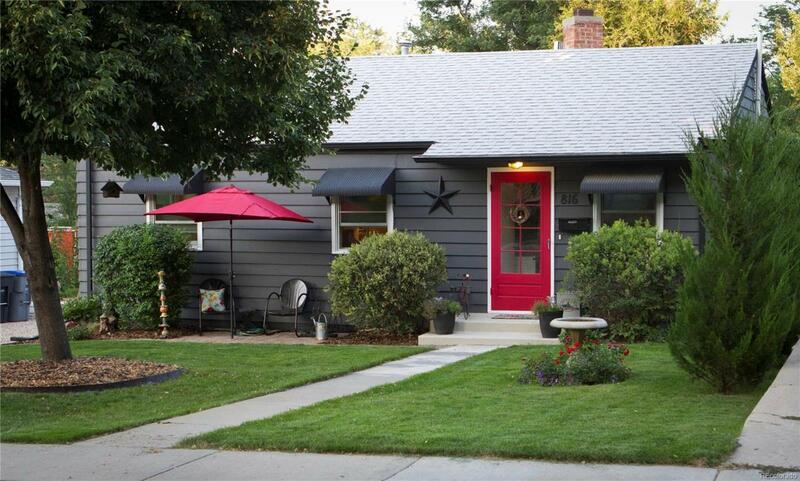 This home is close to restaurants, coffee shops, parks, shopping, bike paths, Sunset Golf Course and Pool, schools, and everything else that Old Town Longmont has to offer.